In healthcare, there are established normal values for many things. There’s a standard for normal blood pressure, normal cholesterol, and normal vision. It doesn’t mean that we expect everyone to have the same exact numbers, but there are healthy ranges. As with the other metrics and ranges we use to diagnose the body as either normal or abnormal the same is true for your spine. 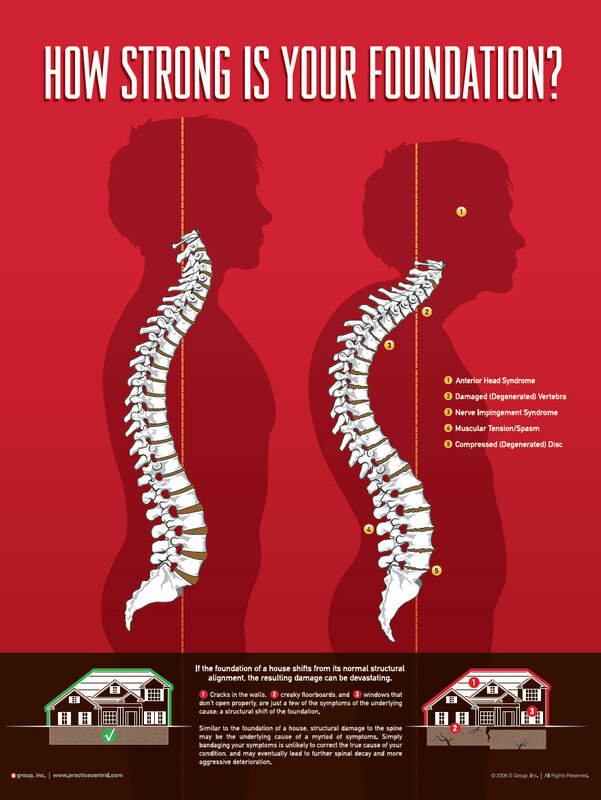 Spinal shifts are when the bones of your spine have moved out of their normal range. When this happens it can cause Secondary Conditions to arise in the body such as headaches, neck tension, and low back pain. 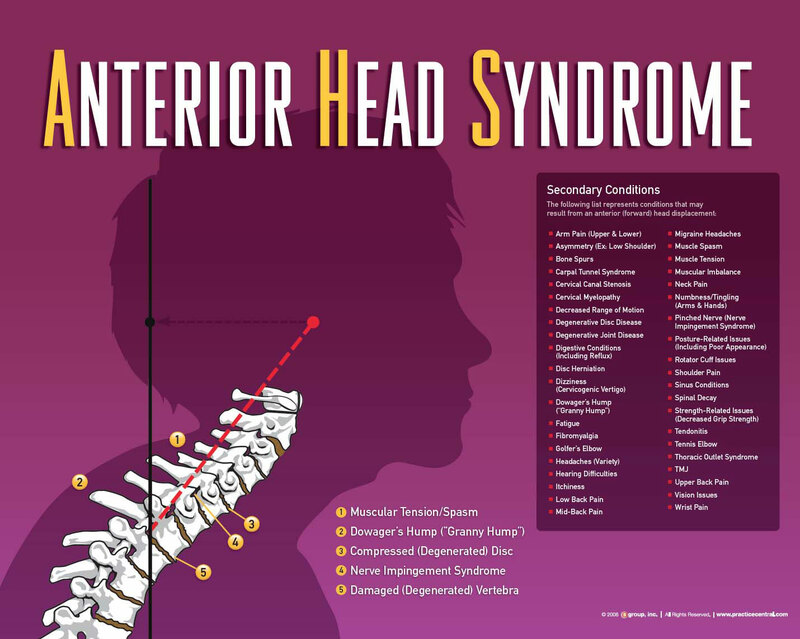 One example of a Spinal Shift that's becoming more common is called Anterior Head Syndrome. 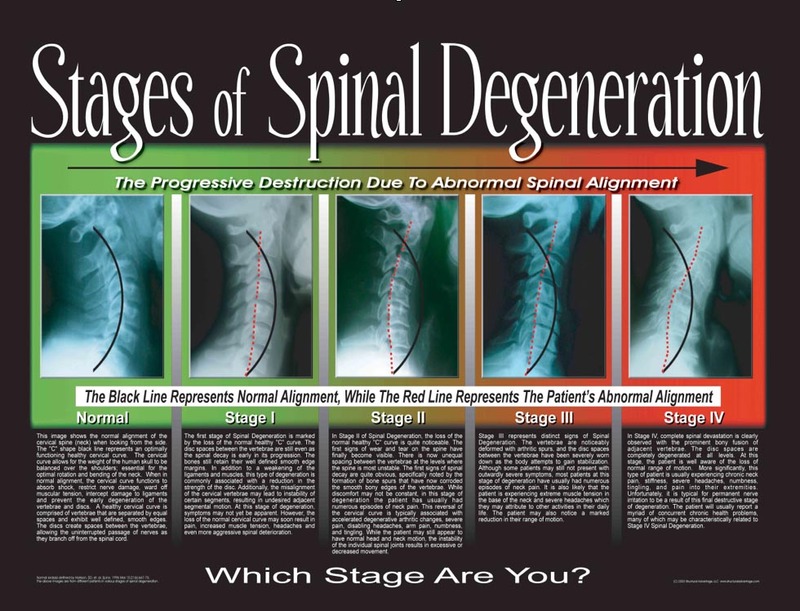 Left uncorrected, it will progress toward something called spinal degeneration or spinal arthritis, which is the direct result of Spinal Shifts. It’s similar to having one under-inflated tire on your car; at first it’s not a big deal, but over time if you don’t fix it, the axle wears out faster than it should and eventually things start to fall apart. Once a spinal shift is present and disrupting the spinal nerves and spinal cord, it can create many different secondary conditions or symptoms. The reason these are called secondary conditions is because they are the result of the primary spinal shift, or the underlying cause. The location of the spinal shift and where the nerves are being disrupted will give us an idea about your secondary conditions. I've had chronic pain for decades and I've been to many doctors, chiropractors, therapists, etc. What sets Sarah apart is her intense attentiveness to your problem. She worked on me for as long as it took to get it right. Muscles that have been right for years loosened up allowing my spine to actually decompress for the first time in decades! Ready to become well adjusted? Come find out how structural chiropractic can improve your life!